With the amount of great content available we need to examine our strategies for consuming information. 1. Always have a reading objective. If you’re reading a book on innovation, ask yourself what you want to be left with after reading it (a checklist for launching your own product/ a basic understanding etc.). For pleasure reading however, just give yourself permission to lose yourself. 2. Fit into the gaps of your day. Have Pocket on your smartphone with saved articles of interest for a spare minute on the subway. Have a great feed reader like FeeddlerPro on your homescreen for a quick scan while you’re in the ATM queue. 3. Switch ways of taking information in. Audio books or your Kindle’s text-to-speech function whilst you exercise, walk to work or do the gardening allows you to absorb information with less effort. 4. A speed-reading technique that works for me for quick consumption of information: read it back to front. Reverse-reading by conclusion, paragraph opening sentences and sub-headings seems to crank my attention up a level and gives me a faster understanding. Two completely different jobs made me think over the last month or so about focus and immediate action. We’re in the middle of having windows fitted. In the middle of what I’ve calculated to be 88 man hours of work to replace 100yr old windows and frames with exact replicas in a 4-bed house. Now I think that’s quite impressive anyway. I could talk about expertise and professionalism. The skills built up over the years by the tradesmen in the company that we’re using. However, it’s their immediacy of action that is down-right staggering. Day One. Minute six of them being in the house. One old window out. Two men literally walked in, accepted our offer of cups of tea, rolled out a dust sheet as they walked in and up the stairs and into the bed room and then quickly covered the closest furniture to the windows. Drills and crowbars out. Window out. Six minutes. And this pace of immediate action has been maintained over the last 48 hours. They’re in at nine. An hour for lunch. Away at four. What’s massively noticeable compared to other tradesmen we’ve used is that everything is action focused. They only seem to take breaks by drinking the copius quantities of tea we provide them at the same time as swiftly discussing their next immediate action. Brian Tracy would be well proud. Fully frogged-up. Then when I was running early one morning, piercing blue sky, and the white streak of a fighter jet streaking across the horizon. My thoughts about that fighter pilot’s role hit me all at once. Total focus. Absolutely no distraction. Allow in the distraction = Death. No ‘quick check of the email’ during the middle of writing that Board paper. No thinking about what to watch on telly that night. Pretty sure they’re not allowing the pressure of admin into their focus on the important activity of keeping a c.$138 million bit of metal from crashing and losing your life at the same time. 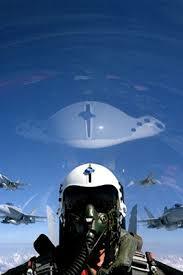 So, must remember when working: focus like a fighter pilot and work like a window-fitter……. By far the most difficult skill for me to learn as CEO was the ability to manage my own psychology. Organizational design, process design, metrics….. all relatively straightforward skills to master compared to keeping my mind in check. Over the years, I’ve spoken to hundreds of CEOs all with the same experience. Nonetheless, very few people talk about it and I have never read anything on the topic. It’s like the fight club of management: The first rule of the CEO psychological meltdown is don’t talk about the psychological meltdown. via What’s The Most Difficult CEO Skill? Managing Your Own Psychology // ben’s blog.